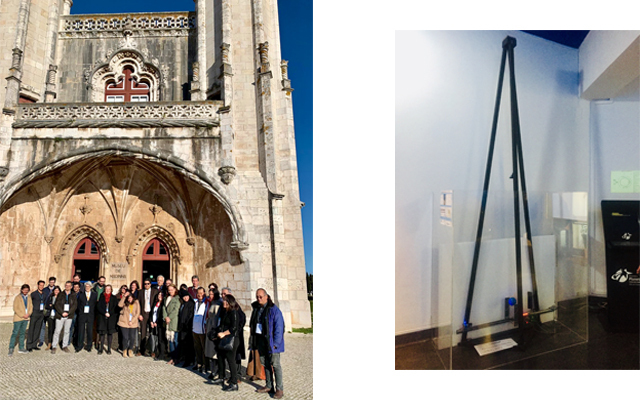 Centrale Marseille participated on February 5, 2019 in the launch of the European project World Pendulum eLab (WP @ elab), funded by the European Commission and managed by partner university Tecnico (Lisbon, Portugal). This WP @ elab project consists of setting pendulums in each of the partner universities to measure gravity according to the latitude of their location. The practical courses of physics could be controlled remotely (eLab aspect). It will allow eLab users to check the relationship between gravity and latitude. Beyond this practical course, the will is also to build an associated MOOL. One of the objectives pursued is to disseminate, as widely as possible, the knowledge and extracted data from the different pendulums, in order to make young audiences discover a concrete aspect of science. Another goal is to deploy an eLab in high schools or places that are accessible for high school students. A pendulum could be installed in the MC2, the future creative space of Centrale Marseille, articulating personal projects as well as collective and innovative technologies ... Centrale Marseille already cooperates with Tecnico (Portugal), PUC Rio (Brazil) Universidade de Chile (Chile), UPC (Spain) and CTU (Czech Republic) within student mobility (Erasmus+ and Double Degrees).